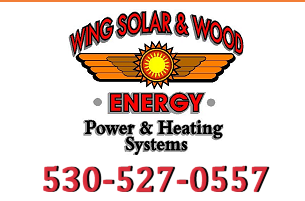 Below you can view what others have to say about their experience with Wing Solar & Wood Energy, Inc. Please enter your testimonial below. Click on view or enter a testimonial below. We appreciate any and all feedback. If you have any immediate questions or we can assist you in any way, please contact us toll-free at 1-800-492-4061. We love our customers feedback. Please Click here and write a google review.